Flour is the finely ground grain of wheat, corn, rice, oat, rye, or barley. Unless specified, this term refers to wheat flour. 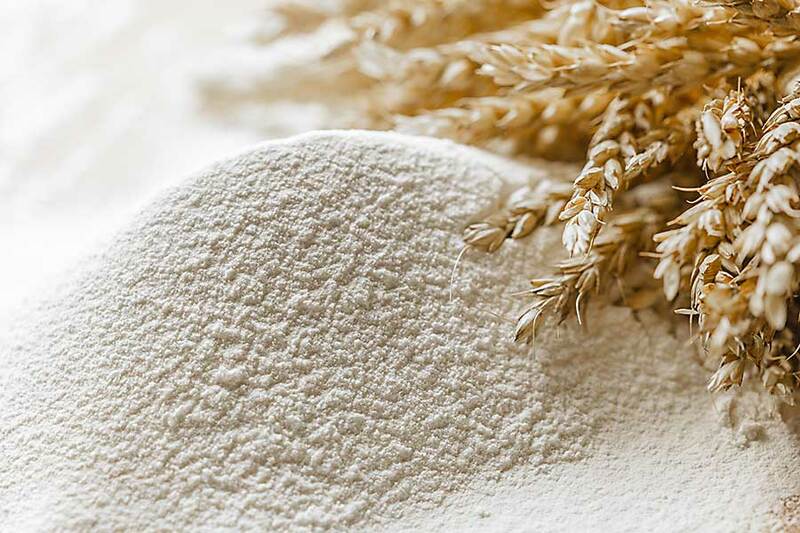 Flour is milled from a variety of wheats containing different amounts of protein. 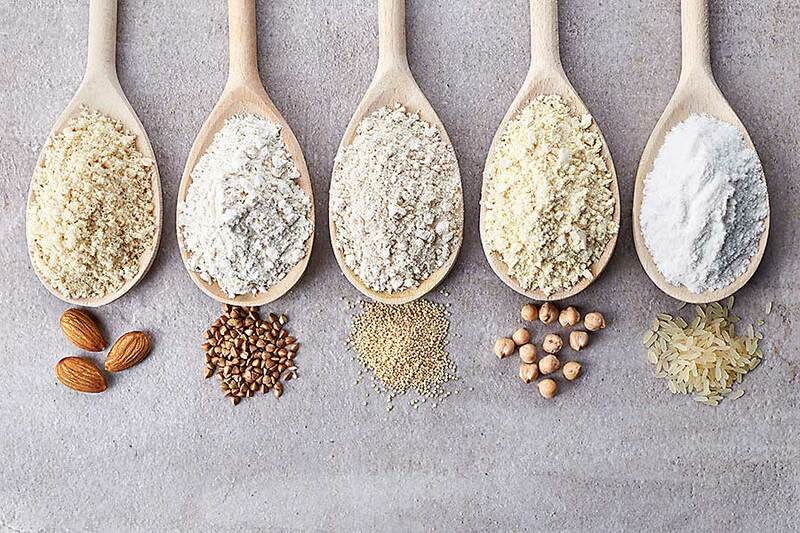 The different levels of protein give each flour unique qualities. All-purpose flour is the most commonly used, especially by the domestic market. This flour is milled from both hard and soft wheats, giving it the strength needed in bread baking, but leaving it tender enough for cakes and pastries. Bread flour has a higher protein content so that it may withstand the constant expansion of the cell walls during proofing and baking. 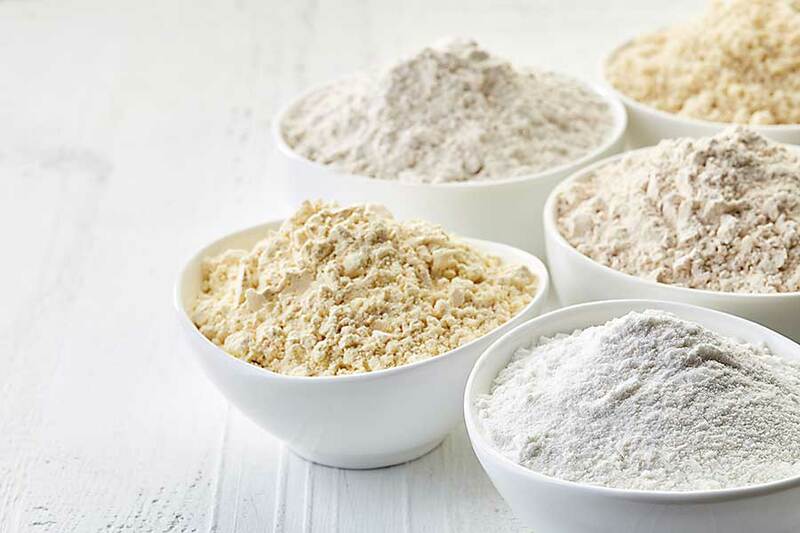 Cake flour is milled from soft wheat, thus containing a very low protein content and preventing the development of gluten. Pastry flour is of relatively low protein content, containing just enough to help stabilize the products during leavening. Whole wheat flours are milled from the whole kernel, thus giving it a higher fiber content and a substantial protein content. Semolina is milled from hard durum wheat, being used mainly for commercial baking and pasta production.